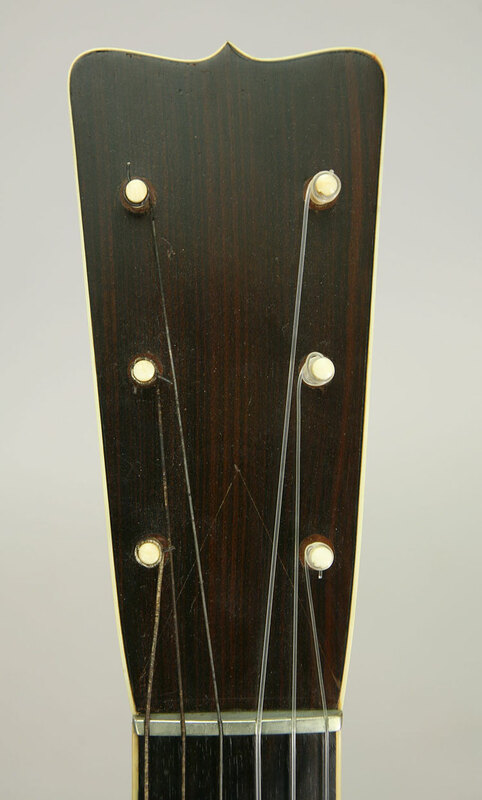 I'm afraid that not much is known about this possibley unique old Martin guitar. 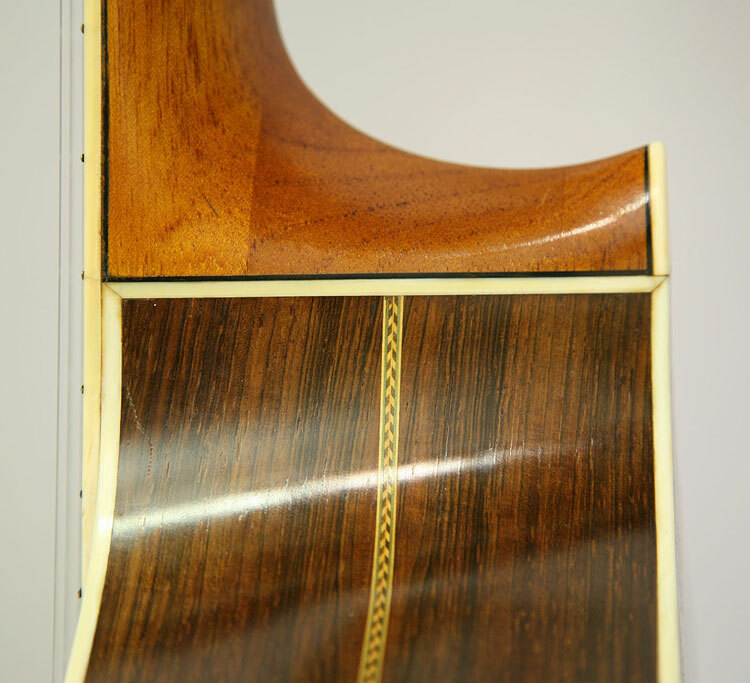 It was clearly made in the 1840s, and as far as I know it's the only one that has been seen with this body shape, with the sides flowing upward into the neck. 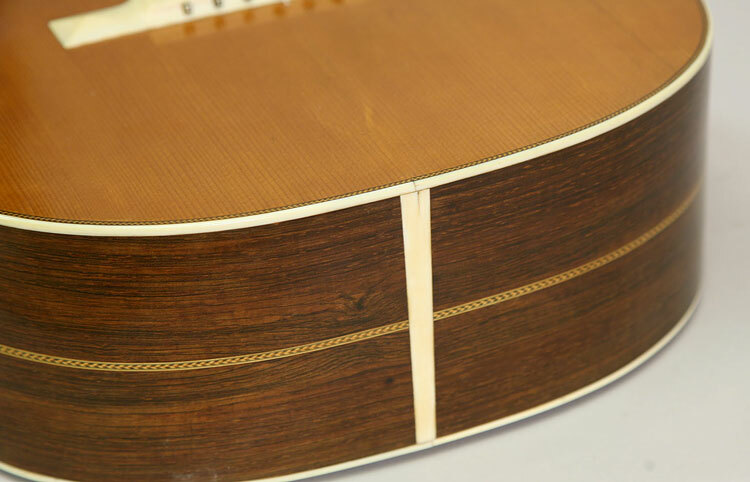 Remarkable in its condition, yes! It looks as though it was made recently and hardly played. 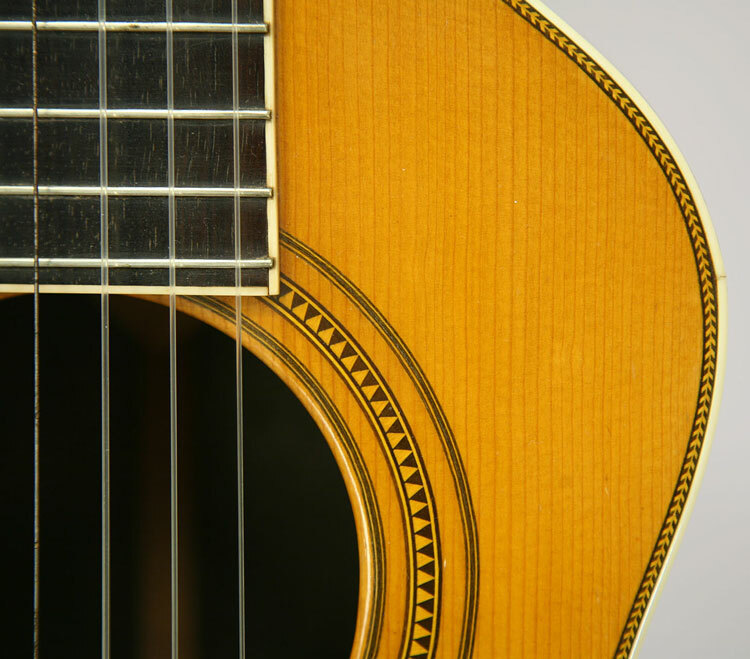 This fine museum worthy guitar has been well documented in a number of vintage guitar books, so it might be familiar looking to you. 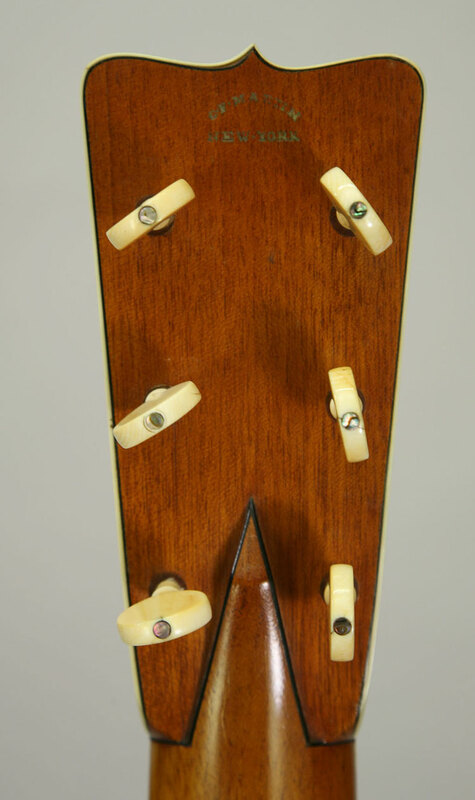 Notice the closeup of the bridge - it was my job to "remove" the screw holes that otherwise marred a nearly perfect original guitar. Click here if you're interested in seeing that job.